Even though its new policies, like taking pets directly from families who cannot afford to take care of them, have increased its population by 500 dogs and cats over the first nine months of 2012, these policies give the city of Muncie a sense of pride. "We haven't had to kill a single animal because we haven't had space for them," Peckinpaugh told the Muncie Star Press, adding, "I'm happy with that number." to believe that going no-kill is worth the extra cost. 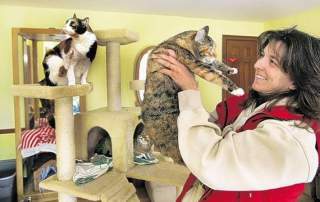 like the one at the PETA headquarters in Norfolk, Virginia adopts out very few of its pets, euthanizing about 95 percent of the dogs and cats that it received for shelter since 1998.
media to make connections for lost and found and adoption services. 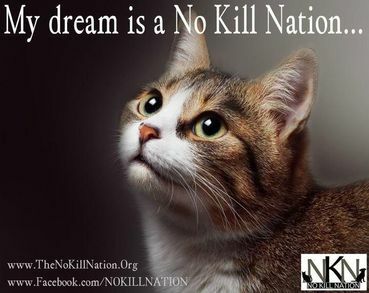 If you wish to support no-kill animal shelters, you can find some listed at No Kill Network, the No Kill page at Global Pet Insurance, or check the shelter's website to look specifically for a no-kill policy. This Cat Knows How to Relax!!! The Floppy Animal Video of the Day!! !